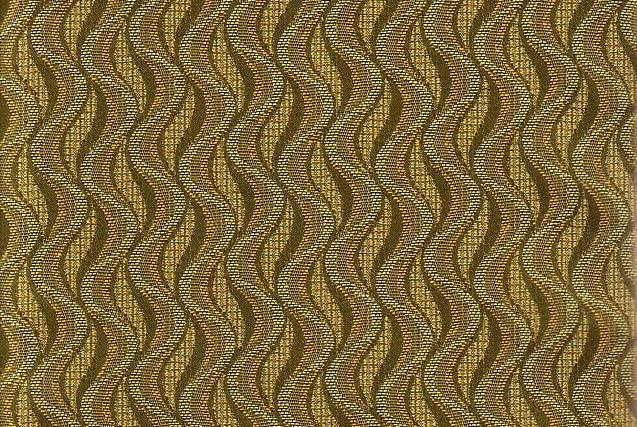 Motion Olivine is a woven, contract grade full coverage pattern with waves of color in Deep Olive Green, Pale Celery and Marigold Yellow against a background that has the look of an open weave pattern. This is truly a design in Motion and with great durability, this fabric will work in Hospitality, Healthcare, Corporate and Residential where high traffic is a consideration. Motion is suitable for drapery, curtains, cornice boards, pillows, cushions, table toppers, bedding, headboards and furniture upholstery.